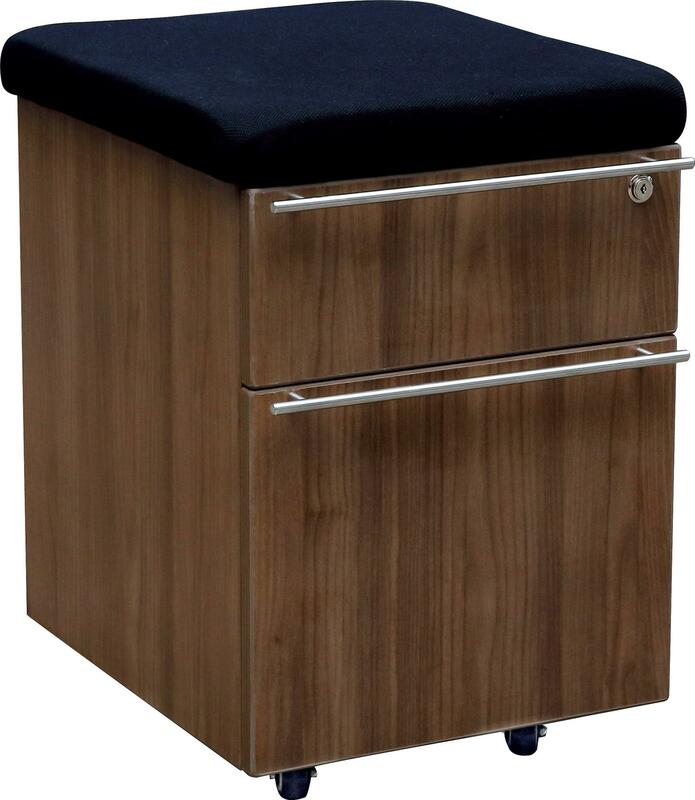 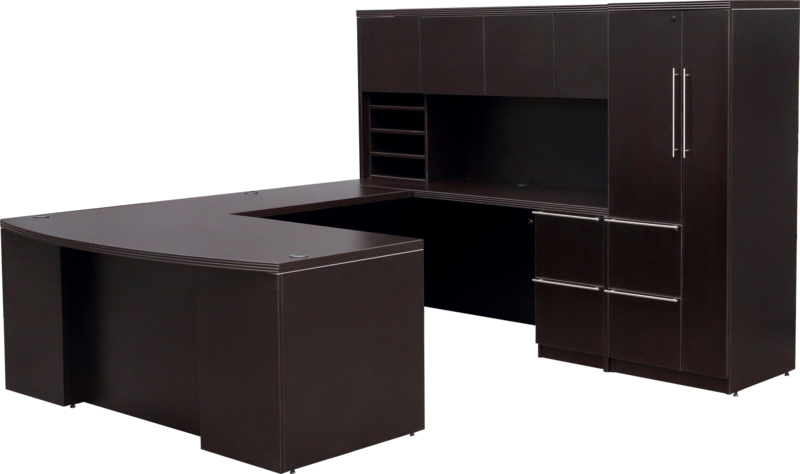 Status series is an upgraded, high-style version of Laminate Desking. 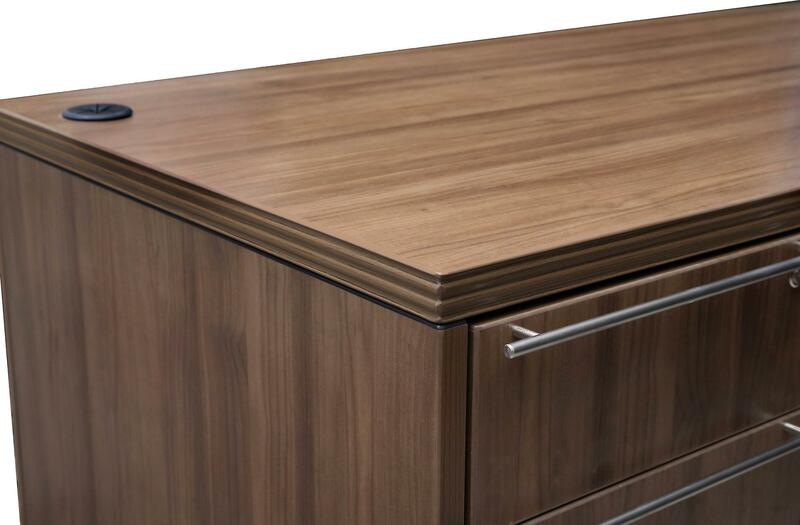 The tops are thicker (1.5" thick) with beautiful reeded-edges. 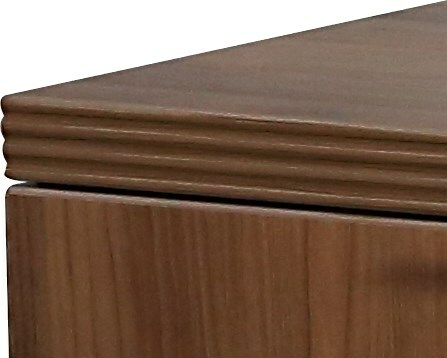 The drawer pulls have a modern "rod" design. 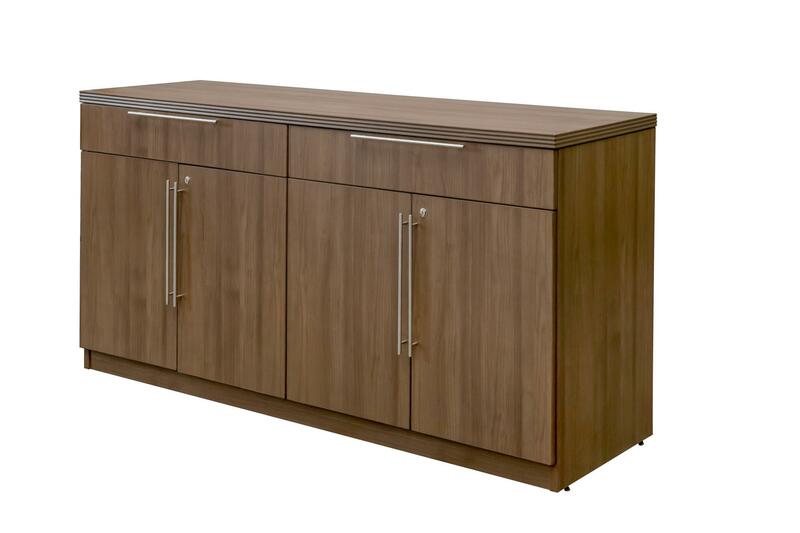 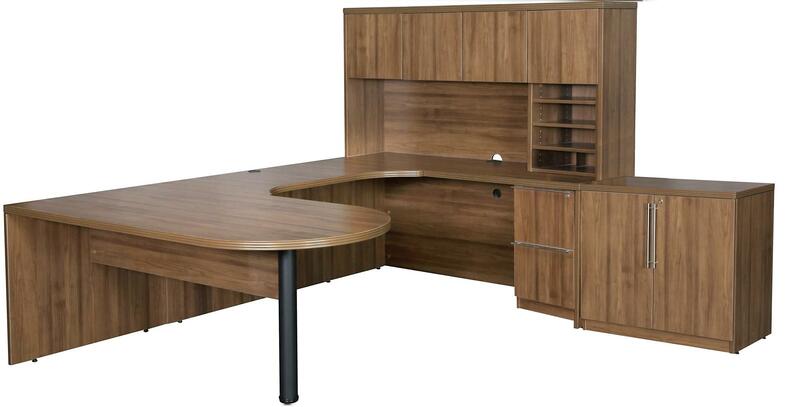 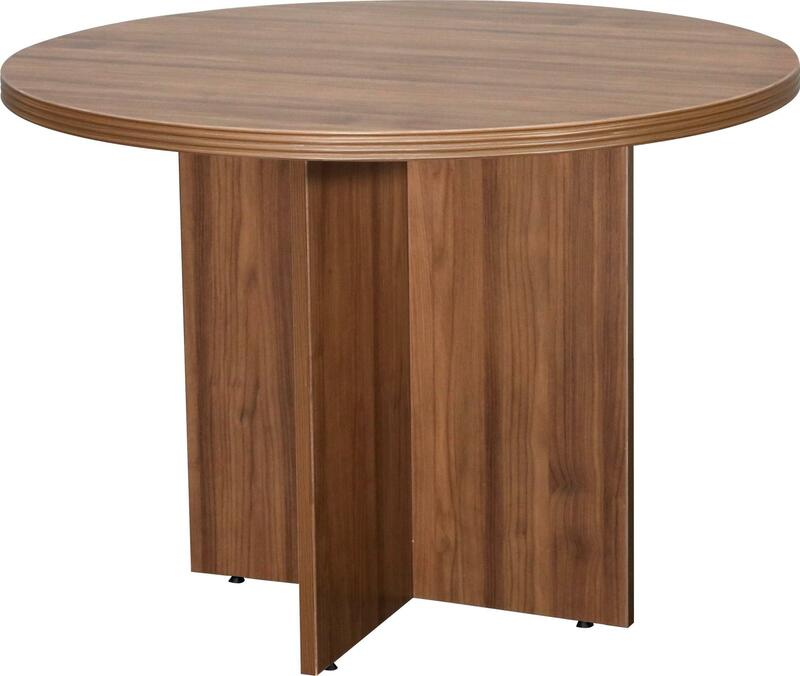 This Desk style inclues a Full Ped appearance with Inset Modesty Panels in your choice of woodgrain or frosted glass. 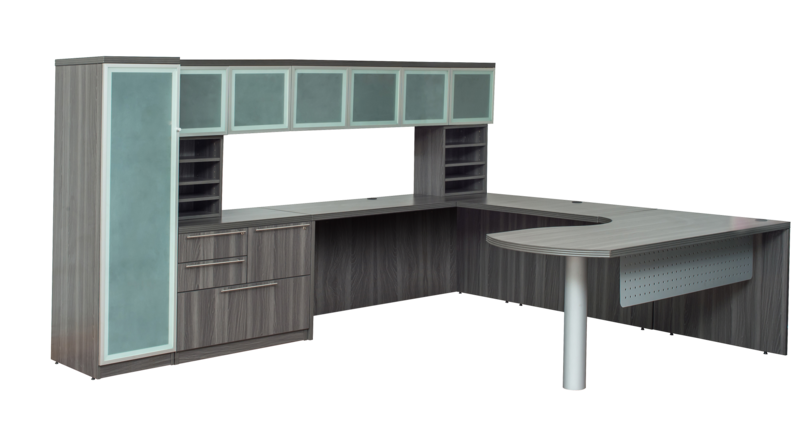 A full compliment and variety of components are stocked. 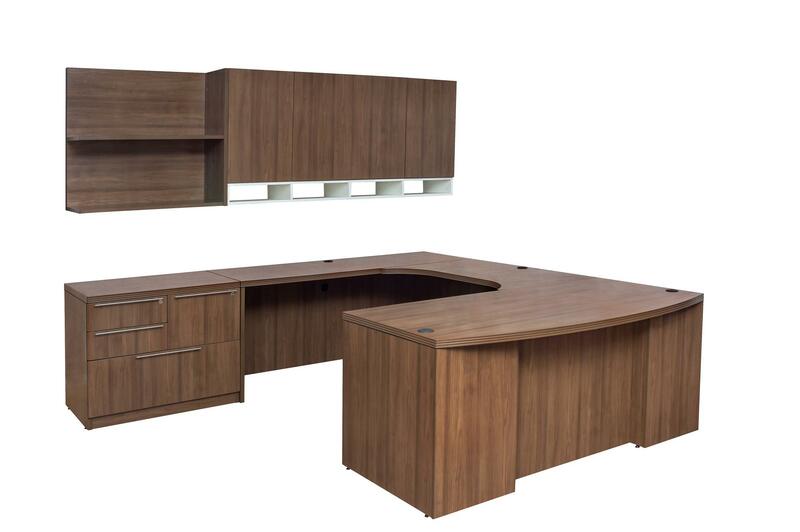 Status is stocked in 3 colors: MW-Modern Walnut, DW- Dark Walnut, and GY- Gray Woodgrain. 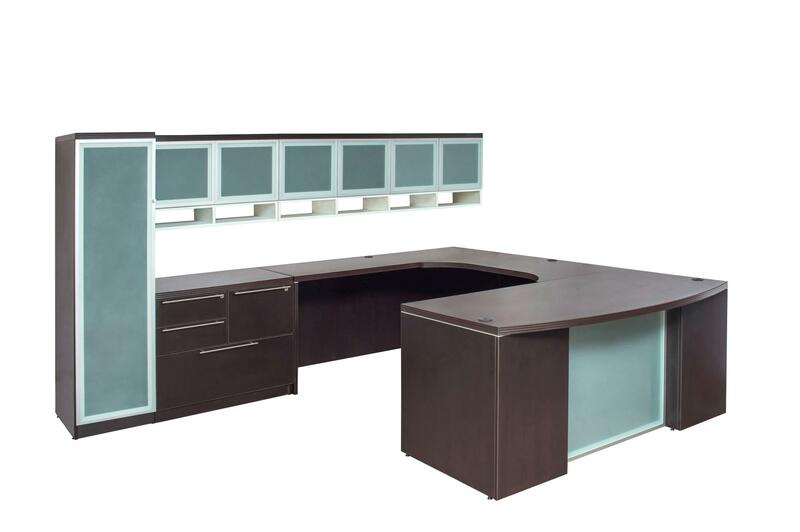 Status Enhanced Executive Suite with the Double Height Hutch, cubby holes, combo lateral file, and wall mounted trophy case.